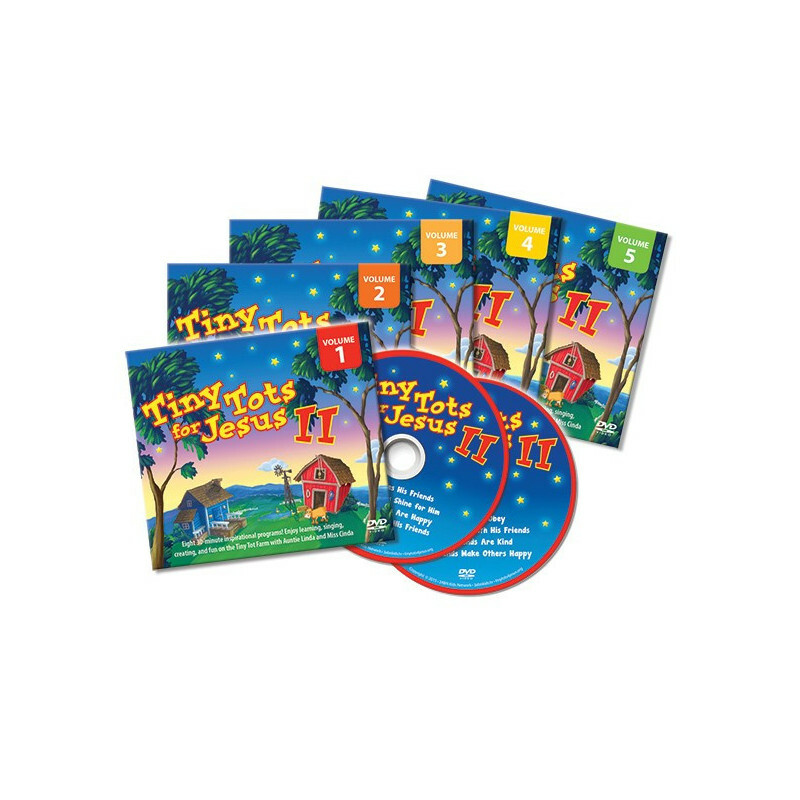 This 5-volume DVD set includes all the most recent Tiny Tots for Jesus programs currently airing on 3ABN. 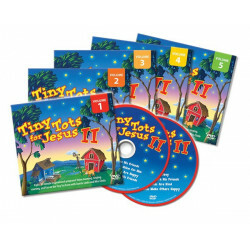 Join Auntie Linda, Miss Cinda and guests, as they teach the Tiny Tots more about their Best Friend, Jesus. Four fun-filled programs per volume! Be sure and order your set today!